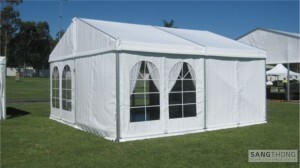 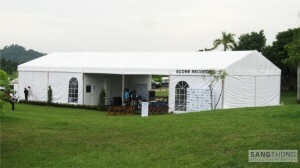 This imported tent enhances every events or parties. 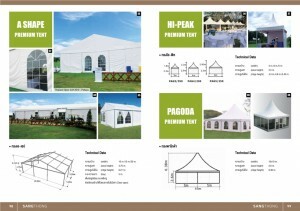 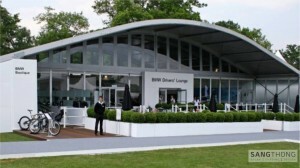 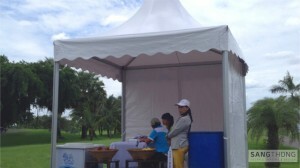 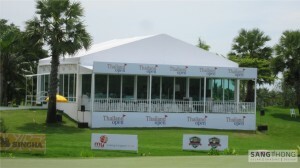 The premium tent is widely excepted in Europe and US. 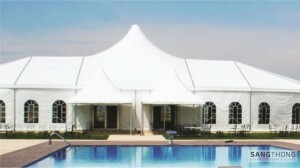 It is used in world class sporting events such as golf and formula 1 racing and also in different exhibition, warehouse, and wedding for example. 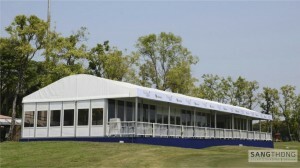 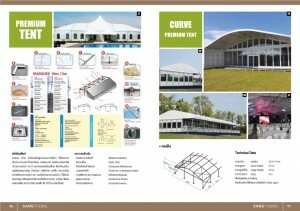 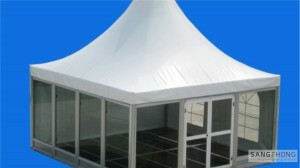 The tent structure is produced from aluminium alloy. 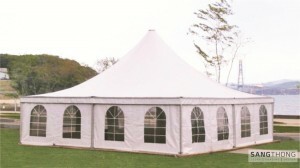 The knocked down structure allows the tent to be removed in a short period of time. 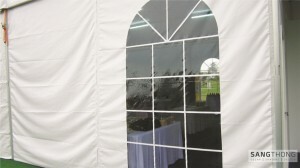 Canvas used for the tent has UV, sun light, and heat protection as well as waterproof. 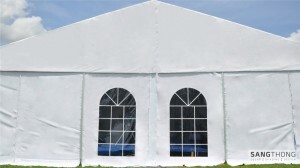 Welcome to the new world of sun shade solutions…One of the leading company that supports all event’s needs such as Tent, Mists fans, banquet tables & Chairs. 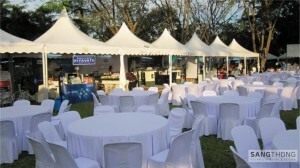 We cater to the needs of small private parties to big national events or exhibitions. 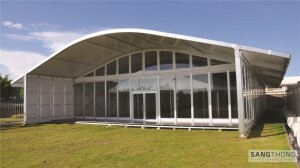 With over 40 years of experience in the awning structure field, we have a team of in house consultant, engineer, and architect to provide full range of services from innovative design to professional installation.